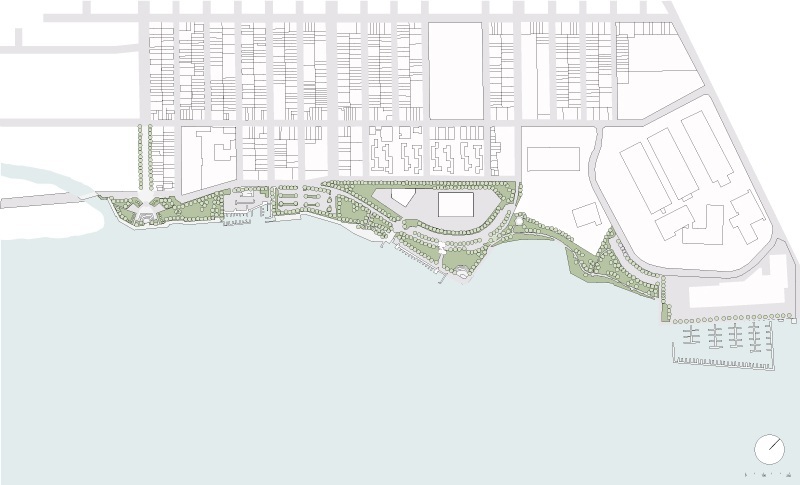 The City of Elizabeth commissioned The Musial Group to develop a masterplan for it’s underutilized waterfront along the Arthur Kill with the intent of reconnecting the citizens to the shoreline. The park draws from the industrial infrastructure of the shipping industry that characterizes the area. Design cues reference the scale and method of construction. The urban grid registers along the swath of land, and is reflected in the discreet entrances. A boardwalk recreation area contains tables for chess, bike racks, and benches. The marina has a fishing pier along with slips and dry-docking facilities for over 60 boats.